Do we charge VAT on a grant ? Do we charge VAT on a grant ? This is probably the most common question for a not for profit VAT advisor. Put technically the question is whether the funding is an outside the scope grant or payment for a supply. If it is a payment( consideration) then it may be potentially subject to VAT. This question is most commonly asked of funding received from local or central government. There are in fact three questions to answer. The first is whether the money is ‘consideration’ or payment for a supply. The second is whether it is a supply made in the course of business. The third is whether it is a taxable supply, subject to VAT. Question 1. Is it Payment for a Supply ? The question here is whether the money is paid in return for something. Is something being done or provided only because the money has been paid. If not then it is outside the scope of VAT. Examples of common features and what they might mean are below. How is the Funding Described? Although descriptions in contracts can be wrong they do give a starting point for analysis. If a contract makes reference to a supply of services being provided for consideration then this tends to indicate there will be a supply. Unless there are some strong reasons otherwise. Unfortunately very often contracts are confusing. 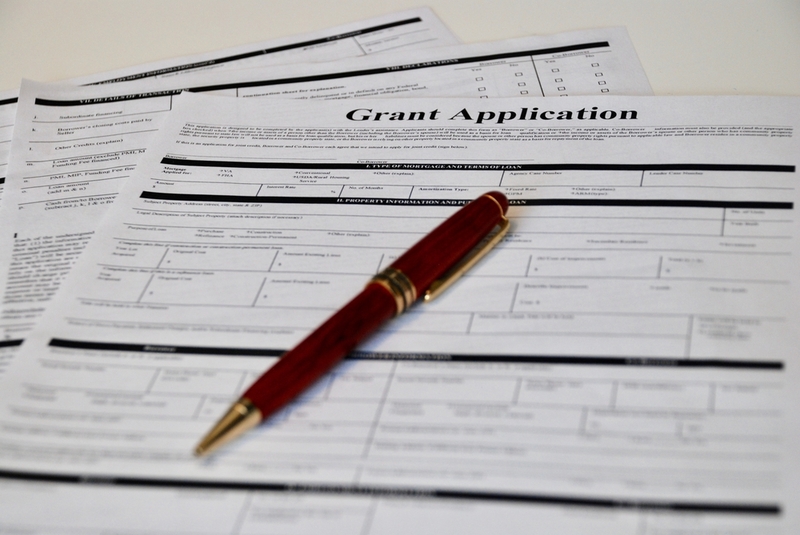 They include references to supplies of services, grants and payments in the same document. This is not helpful. If the recipient treats the money in its accounts as trading income this implies there is a supply. Is it Something that Would be Done Anyway ? If you receive funding to support your overheads rather an a particular project then the money is probably outside the scope. Unless of course the funder receives publicity. If you agree to provide publicity to the funder you might be providing sponsorship on which VAT is due. If a specific activity is funded and you only undertake it because the funding is received then this is an indicator towards there being a supply. This is even more likely to be the case if you are doing something unusual. If for example a children’s charity applied for funds to start working on providing a service for the elderly, this might imply there is a supply. They might only be undertaking the work because they have been paid to do it. This can be contrasted with the example of a hospice that might get funding to extend its hospice to home services. This is work they would have undertaken had internal funds allowed. Is there a Formal Tender Process ? Where a local authority or other funder invites tenders for funding then this tends to indicate there is a supply being made. This will be particularly the case if the funder has a statutory obligation to ensure that the service being funded is carried out. Who Determines What is Done ? If the recipient determines what is done and how, then this implies there is no supply. The more the funder defines and determines the work then the more likely there is a supply. This should not be confused with what HMRC call ‘housekeeping requirements’. 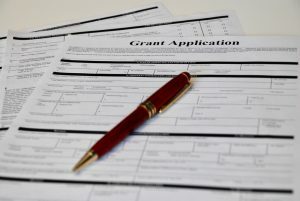 Funding bodies are required to ensure that it is spent correctly and will ask for reports of activities and set criteria for what it is used for. This is particularly true if they are distributing public money. It is possible for a funder to pay for a supply that is received by a third party. Examples occur with energy conservation charities funding home insulation works. It is also true of the HMRC policy on the VAT treatment of Groundwork Trusts. These are example of a VAT concept called ‘third party consideration’. This is not common in the UK VAT system. There are no UK VAT regulations covering it and it is quite rare for HMRC to argue it. Are there political (small p) considerations. Although HMRC will not publicly admit it, politics (small p) can play a role. There have been instances where the facts point to a supply being made but the HMRC policy has been the money is outside the scope. Question 2. Is it a Supply made in the Course or Furtherance of Business ? This question was historically rather a difficult one. The Courts had appeared to take two approaches to the question of whether a Charity was in business. In most cases the test applied was objective and if a charity made charges it was in business. But in a minority of cases a charity’s motivation was considered. The Court of Appeal judgment in the Longridge on Thames case has helped clarify matters. the motivation of the Charity doesn’t matter. If a Charity makes supplies on a regular basis then it is likely to be in business for VAT. It doesn’t matter if its non profit making or uses volunteers. Question 3. What is the Liability of the Supply ? The VAT system assumes a supply will be taxable at the standard rate unless it is given a different VAT liability. There are a number of other liabilities that can apply. For a charity the VAT welfare exemption is common. This applies to a lot of work funded by public bodies. The fact a supply is made to a local authority does not stop this exemption applying. There are questions over the scope of the welfare exemption. HMRC published policy appears to restrict the exemption applying rather more than the law implies. Where the funder can recover VAT then the best result arises from the supply being taxable. This is because it helps the charity recover its VAT. Unfortunately this means HMRC are worse off. Consequently it is not unknown for HMRC to challenge a taxable VAT liability if the recipient of the supply can recover VAT. For example if a charity makes a supply to a local authority then the authority can likely recover any VAT they are charged. The exemption is fairly clearcut when the care is provided under CQC supervision and under personal care plans. There is also a reduced 5% rate for welfare information. This is a largely forgotten relief but it should be used more. It is meant to apply when generic, not individual specific advice or information is provided. There are three reasons why the VAT treatment of funding matters. Firstly it determines if VAT is due on income. If you get this wrong then you will get a nasty penalty. This may be true even if the recipient of the supply can fully recover the VAT you charge them. Secondly it determines both the nature of your VAT recovery calculation and the amount to be recovered. The fact it determines the nature of the calculation is sometimes forgotten but can be important. For example many bodies receive funding where it is arguable if there is a supply, but it is clear that if there is that it will be exempt. In such a case they assume that regardless of whether their funding is outside the scope or payment for an exempt supply, that VAT recovery will be the same. This may not be true. The partial exemption rules are far stricter than the business/non business rules. They require the standard income method to be used unless approval has been given for a special method. In contrast the business/non business apportionment rules allow any fair and reasonable method to be used. Thirdly it may determines if VAT will be charged on property or building work. Here, in some cases, services may be obtained VAT free if there is a non business activity Some charities have paid VAT on construction unnecessarily because they assume their activities are exempt rather than non business. I have advised on many contracts. If you would like to discuss your position on a no obligation basis then contact me.